Looking for that one of a kind classic Porsche near Alpharetta? 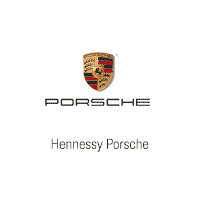 Here at Hennessy Porsche North Atlanta, we offer a unique selection of used classic Porsche models. Get that vintage Porsche feel with an old Porsche 911, or experience the all-wheel-drive and power of an early 2000’s Porsche 991 Turbo. We strive to maintain a variety of Porsche classic models in stock for our customers in the Milton area. Browse our selection of pre-owned classic Porsche models now, and discover the classic car of your dreams. If you don’t see the 70s Porsche models you’ve been hunting, check back often or contact us as we’re always acquiring more classic Porsche inventory and we’d love to help you find exactly what you’re looking for. Now that you’ve browsed our inventory it’s time to test drive that classic Porsche of your dreams. Contact us now to schedule your visit to our Roswell showroom.